Whether you are looking to upgrade to a luxury beachfront condo, downsizing because the children have went off to school or just because...if you are thinking about selling your home in #PCB, we have some tips to get you started! The first step in selling your home or condo in #PCB is to get an idea on the value of your property. Property values change all the time and for a variety of reasons. Because of that, even if you have had an apprasal done last year, you need to get your NEW value. For many, the first step in getting your condo's current value is using an Automated Valuation Model (AVM for short). These are computer generated home values that use an alorithm to come up with what your home is worth. The most popular of these is Zillow's Zestimate. The problem with this well known AVM is they are very inaccurate. One of the biggest challenges with the Zestimate is that it does not pull sold listings from the MLS or Multiple Listing Service. Although Zillow may have a portion of the Active listings (our Property Search actually has ALL active listings), uploaded by Panama City Beach REALTORS, they do not get any sold data. They rely on public records to try and figure out your condos value. Unlike Zillow, we provide an Automated Valuation Model that does have extreemly accurate data. If you would like to get your condos current value JUST CLICK HERE. Regardless of the quality of the restraunt, you shouldnt order sushi from a steak house. Different real estate agents focus on different things. If you are "upside down" on your home, you will want to work with a REALTOR that focuses on Short Sales. If the home you are selling is part of a succcession, you would want to use an agent who has a depth of knoledge in succession sales. Most of the homes for sale in PCB are actually condos. If you are selling a condo, you will want to work with an agent who specializes in condos for sale in Panama City Beach. Condo sales can be quite different than other real estate transactiions, you will want to use an expert. If you are thinking about selling your condo in PCB, you are in luck! We have an expert for you to talk to RIGHT HERE! A real estate transaction is a paperwork intestive process. When thinking about selling, its a good idea to start getting your paperwork together. Look for any of the closing documents you recieved from when you purchased your home. If you have done any major remodeling, you will want to gather together that documentation including any permits that may have been aquired. If you are selling a condo in Panama City Beach, you will want to put your finger on your condo docs. Condo docs are the documets you had to sign off on when purchasing your condominium. These would include Rules of the Declaration of Covenants, Conditions, and Restrictions (CC&Rs). Also, you may want to try to aquire some of the minutes from the most recent meetings as they provide some insight on what is planed for your condo complex. One of the single most important aspects of selling your home in PCB is pricing it correctly when it first hits the market. Although an AVM is a great place to start when assessing your home's value, you will want your REALTOR to complete a full CMA on the property. A CMA is a simular process to an apprasal in where the licensed real estate agent looks up recent "comps" and then makes "adjustments" to get your home's current value. An unusually high percentage of homes sold, sell within the first 30 days. This is because those properties were priced correcty when they hit the market. Most people in the market to buy a home in Panama City Beach are feaverishly looking at the newest listings. Anyone who is serious about buying a condo, is looking daily! That being said, if your home is not getting activity in the first 30 days of listing, you have most likely overpriced it. 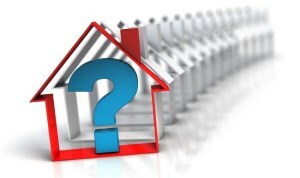 Of the homes that sell, what percentage off the list price do they sell for? Armed with your REALTORS valuation of your property and knowing the list to sell ratio, this will arm you with some facts when pricing your home. If you price the home too high out of the shoot -- you will loose all of the most agressive and real buyers! This is in NO WAY a complete list of things you should do to sell your home in PCB - but these are good starting points. Aquiring a good REALTOR, that specizes in your types of properties may be the single most important step as they will walk you though the other processess.